Electronica is still a relatively new concept in Dhaka, though it needs to be said that names such as Bonobo, Jon Hopkins, Nicolas Jaar and Deadmau5 are common among many young producers and their listeners. Though these producers have developed their own unique signature styles in their music, it is still a difficult task to package the genre in a way that will appeal to the majority of audiences in Dhaka. This is where the Jatra platform comes in. Jatra is an initiative by Dhaka-based singer Anusheh Anadil, famous for being one of the first to introduce Bangladeshi folk songs to young urban audiences by refurbishing the traditional with the modern, blending folk into rock. Jatra is essentially a homegrown lifestyle boutique that has incorporated local styles of art and cultural influences into products tailored for urban homes with the proceeds from the sales of Jatra’s merchandise channeled to support rural families of Bangladesh. It is essential to mention this symbiosis of the norm and the new that Anusheh has created with her music and continues to create with Jatra, because she has made it happen once again by making Jatra a home for fusion rock and folksy blues performances every week for audiences from both Dhaka and abroad. This was the birth of Jatra Biroti, the brainchild of musician Seth Panduranga Blumberg and Anusheh Anadil, started from mid-2014 with huge success among Dhaka urbanites. The juxtaposition between the Jatra venue, with its folk art etched walls and traditional themes in décor, and the globally influenced experimentations with music are a weekend reprieve for listeners. 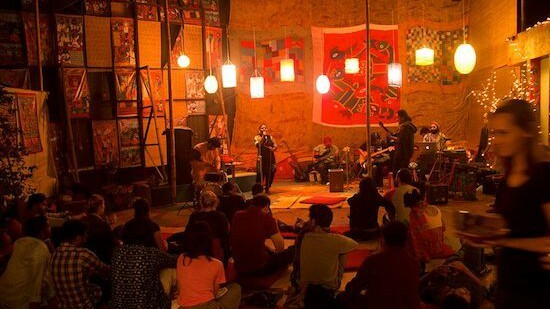 Jatra Biroti welcomes artists of every nature and is a platform open to all forms of artistic expression, whether it’s poetry or storytelling, theatrical music performances or toned down open mic sessions. Electronica musicians in Dhaka mostly work with trance, house, dubstep and other sub genres in electronica, but the experimentation continues on, with the benefit to electronica producers that there is plenty of unchartered territory and potential for them to explore when it comes to audiences in Dhaka. 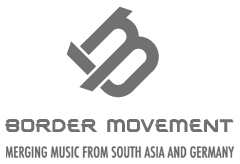 Visited and supported by other artists from India and Germany such as Rahul Giri, Sasha Perera, Gaurav Malakar, Dhaka’s electronica scene has plenty of potential to keep growing and make a name for itself over the next few years. Jatra Biroti’s latest project, ‘Jatratronica’ is an initiative to get the spotlight on the new performing acts and visual artists of Dhaka and to escalate the growth of electronica in the music market of Bangladesh. Although a majority of urban dwellers are pretty set in their mainstream music choices, many listeners demand new and unique sounds from underground artists. 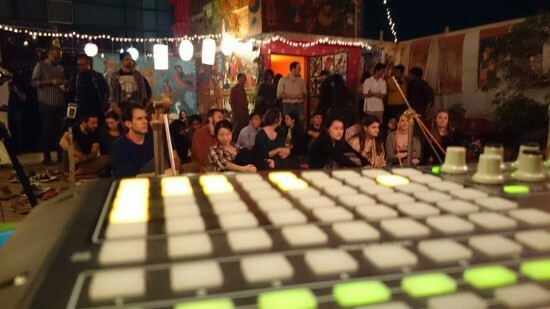 A genre barely recognized in the last decade, with performers struggling to find an audience for their music, the electronica music market is currently on the verge of booming in Dhaka, due to the support of places like Jatra and the continuing upswing of electronica producers with increasing growth in the production quality. Jatra Biroti, which evokes the image of a relaxed atmosphere of performances, began in the autumn of last year and has so far hosted many musical nights catering to electronica and fusion acts, bringing in traditional musicians to mix it up with electronica music producers and create music with synth track and a rhythmic tabla beat. The Jatratronica event will pave the way for future collaborations between Jatra and the Goethe Institut for more promotional events for electronica music. If you happen to be in the city, drop by Jatra on the 19th of February for the first installment of Jatra’s electronica feast.